The War of the Camps (Arabic: حرب المخيمات) was a subconflict within the 1984–1990 phase of the Lebanese Civil War, in which the Palestinian refugee camps in Beirut were besieged by the Shi'ite Amal militia. Sometimes described as being Muslim versus Christian, the Lebanese Civil War was actually a multifaceted conflict in which there was nearly as much inter-factional violence between members of the same religion as there was violence between Muslims and Christians. 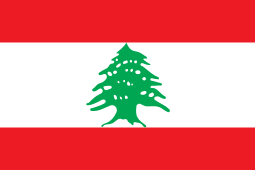 In that respect, the conflict can be compared to the one between the Lebanese Forces (LF), a primarily Christian Maronite militia led by Samir Geagea, and Michel Aoun's Christian-controlled faction of the Lebanese Armed Forces (LAF). In the wake of the creation of the state of Israel in the 1948 Arab-Israeli War, hundreds of thousands of Palestinians became refugees in south Lebanon. A few Palestinians with skills and capital were allowed to reside in cities and live dignified lives; the majority, however were destitute peasants who could only offer their unskilled work force to the Lebanese economy, were kept in squalid refugee camps near the main cities. 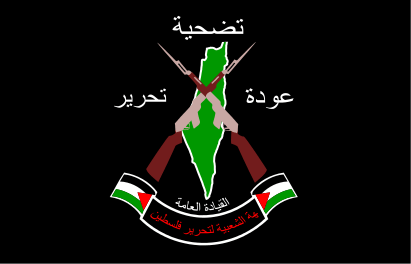 Even before the establishment of the Palestine Liberation Organization (PLO) in 1964, exiled Palestinian intellectuals residing in Lebanon and other Arab countries began to form clandestine paramilitary groups in the late 1950s, which later evolved into the main PLO guerrilla factions. In Lebanon, some of these groups would later raise roadblocks where regular Lebanese would be made to pay "tolls" to support the Palestinian "cause", which alienated important sectors of the native population, in particular the Maronite Christian and Shi'a communities. Beginning in the late 1960s, Palestinian factions also gradually turned the Jabal Amel region of Southern Lebanon into a de facto state of their own, using it as a base for launching guerrilla attacks on Israel. Although in time the Shi'ite community would support the Palestinians in their struggle against Israel, the PLO's and the more radical Rejectionist Front groups' behavior in Southern Lebanon made many Lebanese Shi'ites resent the Palestinian presence. In fact, they had put the Shi'ites of the Jabal Amel at risk by attacking the Israelis from their border, which in turn invited harsh retribution from the Israel Defense Forces (IDF). In 1978, the IDF had invaded Southern Lebanon (Operation Litani) in response to the guerrilla attacks made by the PLO from South Lebanon. Israel's second invasion of Lebanon in June 1982 succeeded in driving thousands of Palestinian fighters under the command of PLO Chairman Yassir Arafat out of Southern Lebanon and West Beirut. Under international auspices, Arafat and its PLO forces were evacuated to northern Lebanon and re-settled in the port city of Tripoli. By this time, however, Syrian President Hafez al-Assad proceeded to expel Chairman Arafat and the Palestinian factions allied to him out from Lebanon. Israel's second invasion was extremely devastating, and resulted in a 20-year-long occupation of Lebanon, particularly of the South. Tens of thousands of Lebanese civilians were killed and another consequence of this occupation was the formation of Hezbollah. Assad himself sought to control the PLO and Lebanon. His anxieties were caused by a worry that Palestinian guerrilla activities would invite another Israeli invasion and that his minority Alawite regime would be endangered by the Sunni Palestinians. 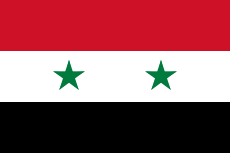 Initially, Syria encouraged its own Palestinian groups to compete in the process, facilitating the entrance of as-Sa'iqa, PFLP-GC, and the pro-Syrian dissident Fatah faction under Abu Musa. However, Syria's allies were only powerful in areas controlled by the Syrian Army, such as the Beqaa valley. In the areas beyond Syria's control, it soon became apparent that the independent Palestinian organizations Fatah, PFLP and DFLP had far stronger support. Thus, Assad recruited Colonel Said al-Muragha (Abu Musa), to drive Arafat out of Lebanon. Musa, an ex-member of Fatah, used Arafat's public willingness to negotiate with Israel as a pretext for war. In November 1983, Col. Musa's Fatah al-Intifada or ‘Fatah-Uprising’ faction fought the Arafatist Fatah for a month at Tripoli, until Arafat once again was on his way to Tunisia by December. Unfortunately for Assad, Arafat's Fatah forces crept back into Lebanon over the next two years, ensconcing themselves in the many refugee camps in Beirut and the South. As more Palestinians regrouped in the South, Assad's anxiety grew, as he didn't want to give Israel the pretext for another invasion. This time, Assad recruited the more powerful Shia Muslim Amal Movement militia headed by Nabih Berri to dislodge Arafat's loyalists. The benefit for Assad of this alliance was more complete control of Lebanon through his local Lebanese allies. The benefit for Amal was revenge for decades of Palestinian arrogance and further control over Shia-populated areas of Lebanon. By mid-1985 Amal was also in conflict with the Druze Progressive Socialist Party (PSP) and its militia, the People’s Liberation Army (PLA), led by Walid Jumblatt in the Chouf region. As Amal-PSP relations severely deteriorated, the Palestinian alliance with the Druze PSP began to be reestablished. Unlike the majority of other Lebanese leftist militias, the Communist Action Organization in Lebanon (OCAL), led by Muhsin Ibrahim, refused to cooperate with Syria in its attempts to vanquish Arafat. This support for Arafat incurred strong opposition from Syria, forcing the OCAL to operate underground beginning in 1987. After the Multinational Force (MNF) withdrew from Beirut in February 1984, Amal took control of West Beirut, establishing a number of outposts and checkpoints around the camps (in Beirut, but also in the south). On April 15, 1985, an alliance gathering Amal, PSP and the Lebanese Communist Party (LCP) militia, the Popular Guard, attacked the Al-Mourabitoun, the main Lebanese Sunni Nasserite militia and the closest ally of the PLO in Lebanon. The Al-Mourabitoun was vanquished after a week of street-fighting and their leader, Ibrahim Kulaylat sent into exile. On May 19, 1985, heavy fighting erupted between Amal Movement and Palestinian camp militias for the control of Sabra and Shatila and Burj el-Barajneh camps in Beirut. Amal was supported by the predominantly Shia Sixth Brigade of the Lebanese Army commanded by General Abd al-Halim Kanj and by the 87th Infantry Battalion from the predominantly Christian Eighth Brigade loyal to General Michel Aoun stationed in East Beirut. Virtually all the houses in the camps were reduced to rubble. In terms of sheer numbers, the Shi'ites outnumbered the Palestinians 5:1. Amal was heavily backed by Syria and indirectly supported by Israel, whereas the PLO did not enjoy much outside support. Amal also had the advantage over the PLO in terms of equipment, especially armored vehicles. Although the PSP/PLA and LCP/Popular Guard joined forces with Amal in defeating the Al-Mourabitoun, they remained militarily neutral in the fight against the PLO. Despite prodding from Syria, these political parties and their respective militias contributed nothing more than verbally expressing support for Amal and demanding that Arafat step down. The PSP/PLA even allowed the PLO to station their artillery on Druze-controlled areas. This left Amal to do the work of dislodging the Arafat loyalists, with some help from Syria's anti-Arafat Palestinian allies, such as As-Sa'iqa, PFLP-GC and Fatah al-Intifada. The alliance between Amal and most of the pro-Syrian Palestinian groups eventually soured however, and clashes would later break out between them. While some dissident Palestinian commanders such as Ahmed Jibril and Abu Musa still supported Amal against the PLO, many anti-Arafat fighters battled Amal in defense of the camps. On May 30, 1985, much of Sabra fell to its attackers. Amid Arab and Soviet political pressure on Syria and an emergency meeting of Arab League foreign ministers scheduled to discuss the issue on June 8, Amal declared a unilateral ceasefire the next day. Despite this, lower-scale fighting continued. In Shatila, the Palestinians only retained the part of the camp centered around the mosque. Burj al-Barajneh remained under siege as Amal prevented supplies from entering or its population from leaving. The death toll remains uncertain, but is likely to have been high. International pressures led to a ceasefire being signed between Amal and the Palestinian National Salvation Front on June 17 in Damascus. Sporadic clashes erupted again in September 1985 and for a week after March 29, 1986. In Sidon, Amal issued a stern warning to Palestinian factions who tried to reorganize in southern Lebanon. The situation remained tense and fighting occurred again in September 1985 and March 1986. Exactly one year after the first battle, on May 19, 1986, heavy fighting erupted again. Bolstered by newly received heavy weaponry (including Soviet-made artillery pieces and tanks loaned by Syria), Amal tightened its siege on the camps. Many ceasefires were announced but most of them did not last more than a few days. Meanwhile, throughout West Beirut, Amal continued to suppress the remaining predominately Sunni, pro-Palestinian militias such as the small Sixth of February Movement in June 1986. The PLO was also aided by Kurdish fighters from the Kurdish Democratic Party (KDP) who lived alongside the Palestinians in the refugee camps. Many leftist Kurds joined Palestinian resistance movements during the Lebanese civil war, and these militiamen now fought to protect their homes from Amal, as well as supporting their Palestinian comrades. The situation began to cool on June 24, 1986, when the Syrians deployed some of their Commando troops, assisted by a special task force of 800 Lebanese Army soldiers and Gendarmes from the Internal Security Forces. The tension due to this conflict was also present in the South, where the presence of Palestinian guerrillas in the predominantly Shia areas led to frequent clashes. The third and deadliest battle began on September 29, 1986, when fighting occurred at the Rashidiyye camp in Tyre between Amal and locally based PLO groups. The conflict immediately spread to Sidon and Beirut. Palestinian forces in Sidon managed to occupy the Christian town of Maghdouché on the eastern hills of Sidon, in order to re-open the road to Rashidiyye. In Sidon, the Israel Air Force (IAF) launched several air strikes against Palestinian positions around the city. As before, the Arab League pressured both parties to stop the fighting. A cease-fire was negotiated between Amal and pro-Syrian Palestinian groups on December 15, 1986, but it was rejected by Arafat's Fatah, who tried to appease the situation by giving some of its positions to the Al-Mourabitoun militia in exchange for supplies to the camps. Despite the cease-fire, the shelling of the camps continued. In Beirut, the ongoing blockade of the camps led to dramatic food and medicine shortages inside the camps, resulting in horrible conditions for the residents. In February 1987, the fighting spread throughout West Beirut, with Hezbollah and the PSP/PLA supporting the Palestinians. 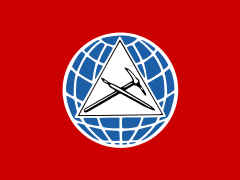 The LCP/Popular Guard and the Syrian Social Nationalist Party (SSNP) aligned with the PSP/PLA in attacking Amal positions. Amal was overpowered as the PSP/PLA quickly seized large portions of West Beirut, and the situation could no longer be tolerated by Damascus. Under the command of Syria's military intelligence chief in Lebanon, General Ghazi Kenaan, the Syrian Army began moving into West Beirut in February 21, 1987 and attacked the Hezbollah's headquarters in the Fathallah barracks, leading to a short period of fighting between Syrian units and Hezbollah guerrillas. In April 7, 1987 Amal finally lifted the siege and handed its positions around the camps over to the Syrian Army. Later, in the summer of 1988, Abu Musa returned to the camps, and another 127 people were killed in the fighting. After this episode, the War of the Camps was considered to be concluded by July 1988. Internal fighting had happened before in the Muslim/leftist camp (the former Lebanese National Movement or LNM) but never on such massive scale. This inflicted a severe blow in terms of public image for many Muslim militias and destroyed the perception of unity. The main Lebanese Sunni militia, the Al-Mourabitoun, was crushed and their leader Ibrahim Kulaylat sent into exile. The results were mitigated since the PLO retained control of some of the camps. At the end of the war an official Lebanese government reported that the total number of casualties for these battles was put at 3,781 dead and 6,787 injured in the fighting between Amal and the Palestinians. Furthermore, the number of Palestinians killed in internal struggles between pro-Syrian and independent organizations was around 2,000. The real number is probably higher because thousands of Palestinians were not registered in Lebanon and the blockade meant that no officials could access the camps, so that all the casualties could not be counted. ↑ O'Ballance, Civil War in Lebanon (1998), p. 158. ↑ Éric Micheletti, "Bataille d´Artillerie", RAIDS magazine (1989), p. 14. ↑ O'Ballance, Civil War in Lebanon (1998), pp. 168-169. ↑ Saving a City from Itself, TIME Magazine, March 9, 1987. Joe Stork, The War of the Camps, The War of the Hostages, MERIP Reports, No. 133 (June 1985), pp. 3–7 and 22. The War of the Camps, Journal of Palestine Studies, Vol. 16, No. 1 (Autumn, 1986), pp. 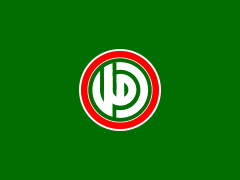 191–194. Lebanese Civil War The combat returned to Beirut in 1987, with Palestinians, leftists, and Druze fighters allied against Amal, eventually drawing further Syrian intervention.